Shakti, the saviour of this mystique universe sits on the crest of the Himalaya. Starting from scriptures to folklores, everywhere she is described as the daughter of the Himalaya, the king of all mountains. To honour her divine presence, followers of the Devi have been erecting temples from time immemorial in different parts of the Indian Himalaya. 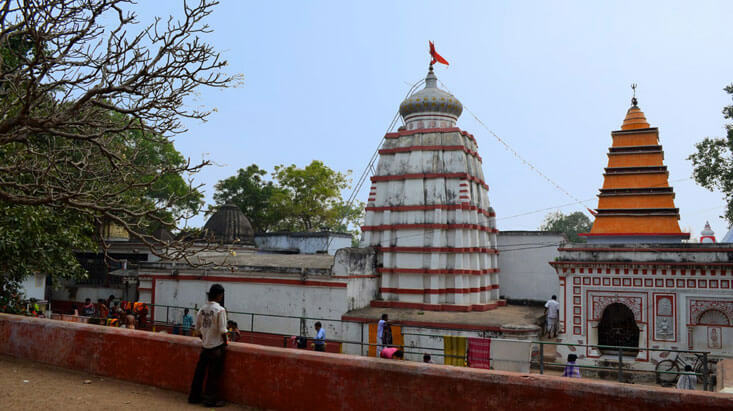 A couple of these Devi temples are located in mystique caves where Bhagawati Durga resides spreading her heavenly aura. Uttarakhand, being a state bejeweled by the fascinating peaks of the Himalaya houses a couple of such temples where Durga along and with her several incarnations are worshipped. Wonderful work of art, picturesque setting and the routes leading to these temples mesmerize the devotees heading there from distant parts of the country. 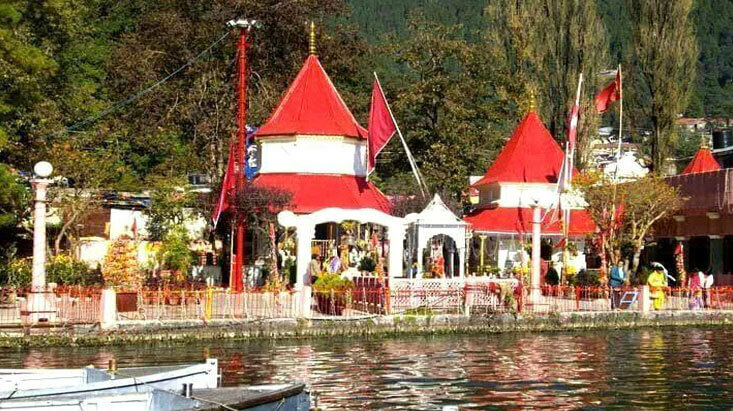 A spiritually ignited seat of goddess Sati, Naina Devi Temple is located at a picture perfect location close to the northern bank of Naini Lake. The temple is perched on a picturesque setting with its beauty enhanced by verdant mountain ranges. 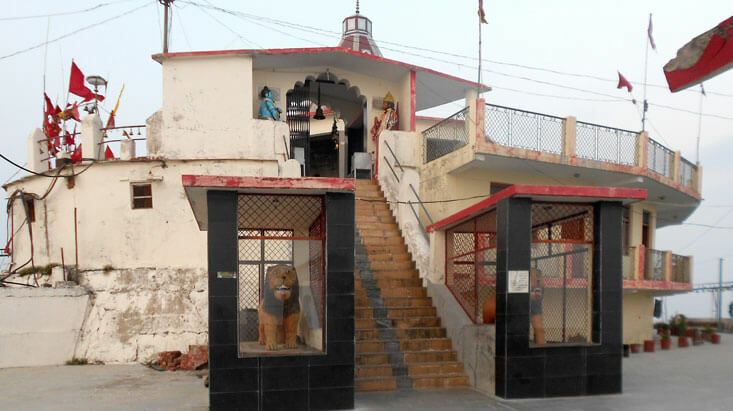 The temple is believed to be one of the popular Shakti Peethas of India. It is believed that the eyes of Sati fall in this spot. The annual statue-immersion ceremony is observed on Bhadrapad Shukla Ashtami (September) when a grand celebration takes place. Devotees from distant parts of the country take part in this festival. 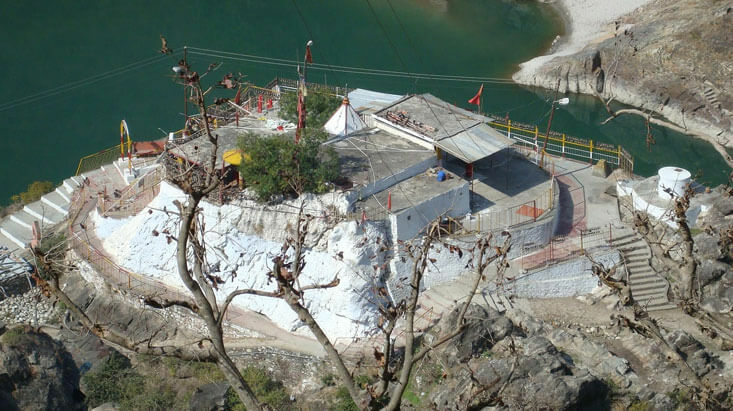 Located at a distance of 15 km from Rishikesh and 7 km from Narendra Nagar Kunjapuri Temple is one of the three interconnected temples of goddess Durga in Tehri Garhwal district. The temple is one of the Siddha Peethas mentioned in Devi Purana and blessed with the divine presence of a body part of goddess Sati. The temple is believed to be the seat of 13 most popular deities of Shivalik Range and attracts tourists for its magnificent position atop a mountain peak. The scenic view of the temple is stunning for the snow clad mountain peaks of Himalaya can be seen clearly from here. Navaratri is the ideal time to pay homage to the deity. Dussera festival celebrated in the month of October-November is a must witness celebration. Around 2 km from the motorable road connecting Kaddukhal, Surkanda Devi is located on an awe-inspiring mountain peak. Less crowded and, this temple presents panoramic views of the lofty mountain peaks and sleepy villages settled around the base of those mountains. On the way to the temple, devotees are greeted by the natural flower gardens and beautiful Himalayan birds. Ganga Dussera is a festival that is celebrated in the month of June and gathers locales as well as devoted souls from across the state. 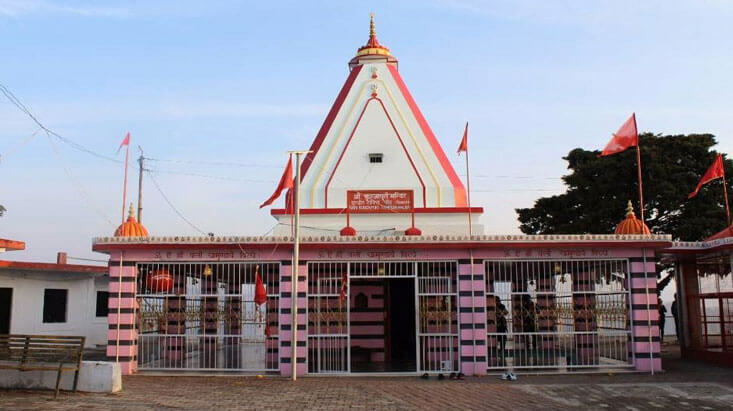 Located 10 km north of Kandikhal and 22 km from Rudraprayag, the temple of Chandrabadani Devi is one of the Shakti Peethas blessed with the body part of goddess Sati. It is said that the torso of the deity fell here. Unlike other Devi temples in Uttarakhand, the deity is worshipped here in the form of Shri Yantra engraved on a flat stone surface. Outside the temples a number of tridents made of different metals are found scattered around. 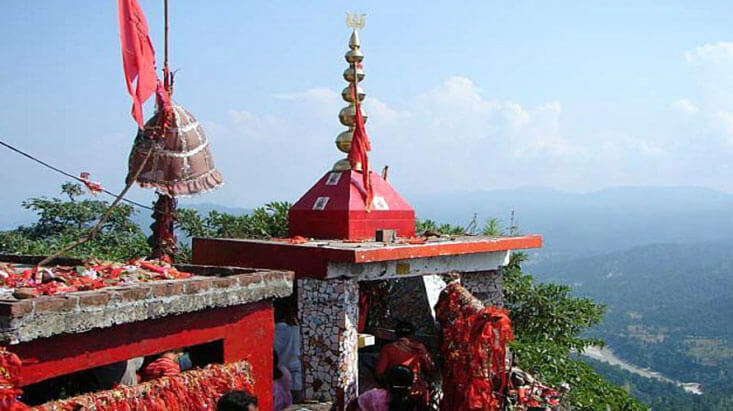 Located atop a high altitude mountain peak coated with lush greenery, Mata Purnagiri temple is situated at a distance of 20 km from Tanakpur and 92 km from Champawat. An ideal spot to get involved in trekking voyage for beginners, this temple is centered on several deep rooted beliefs and thus the devotees tie a thread here to fulfill their wish and go back to the temple to untie the thread once the wish gets fulfilled. Moreover, the mountain peak attracts more attention for enclosing the source of the river Kali that is known as Sharda in plains. Navaratri festival celebrated in the month of Chaitra (March-April) is the best time to visit the temple. The temple festival is mainly organised in the month of Poush (January) when a grand fair is held. Not the opulence, but the beliefs associated with the temple of Nanda Devi make it a popular pilgrimage spot in Uttarakhand. 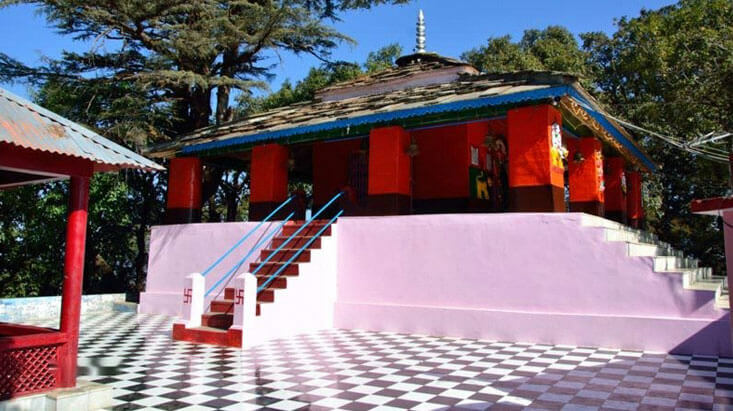 Located in Almora district, the temple is the seat of a deity who is worshipped as the daughter of Kumauni people. The patron goddess of the Chand dynasty, the deity is believed to be the saviour of the residents of Kumaon as well as other parts of Uttarakhand. The main attraction of the temple is Nanda Devi Raj Jat (Yatra) that is held once in twelve years. During this festival, the deity in the form a sheep is decorated with different jewellery and along with food and clothing she is sent to her other home at Trishul Peak followed by a grand procession. Melodious folk song and dance make this celebration remarkable. Popularly known as Dronagiri or Dunagiri, Dunagiri temple is a historical place associated with both the great epics of India. 48 km from Ranikhet in the district of Almora, this small pilgrimage destination is encircled by six peaceful villages that offer excellent views of the snow clad Himalayan ranges. The mountain ranges invite devotees of goddess Shakti from different corners of the country for being the seat of Vaishnavi Devi. 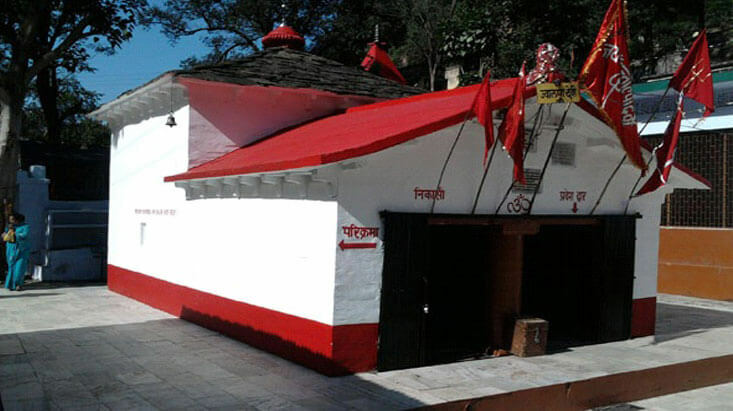 It is believed that this is the second Vaishnavi Devi temple after the one located in Jammu and Kashmir. According to myths, Hanumana brought the medicinal herb to save Laxmana’s life from this mountain. Every year during Ashwin and Chaitra months, grand fairs are organised. A divine place blessed with the presence of the supreme deity Jwalpa Devi Temple is located on the left bank of Nawalika. A burning flame that is believed to be the incarnation of the deity is worshipped here instead of any idol. It is believed that Sachi, the daughter of the demon king Pulom pleased Goddess Durga with her strong meditation. Pleased with her devotion, the deity appeared in front of Sachi in the form of a burning flame and blessed her with what she wanted to attain. Deity Nanda is worshipped as the daughter of Kumaon and Garhwal region of Uttarakhand. That is why a number of temples are found in different districts of Uttarakhand that are dedicated to Devi Nanda. Trishul Peak is believed to be her in-laws home and Garhwal-Kumaon is regarded as her maternal home. During Nanda Devi Raj Jat the people of Kumaon region arrange a grand procession that goes beyond the region of the Valley of Flowers and ends at Homkund. A sheep ornamented with colourful jewelleries, clothes and other worshipping elements is sent to Homkund where priests perform Yagya and other religious rites. 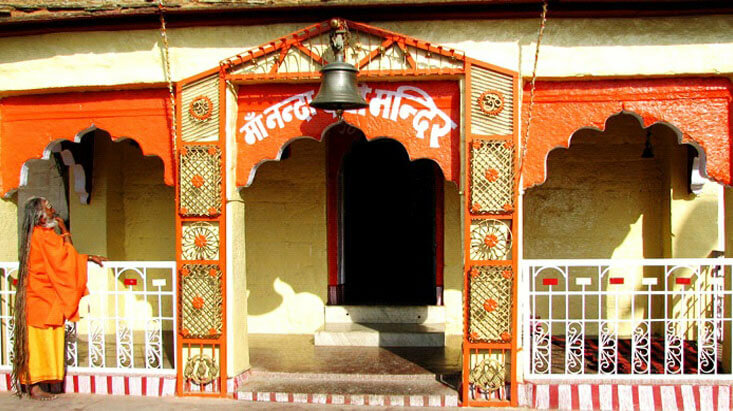 A revered Devi Temple in the lap of Himalaya Hariyali Devi is centred on many deep rooted beliefs. The idol of the deity is huge and she is found seated on the back of a lion. The deity is also known as Shitla Mata in the nearby villages and tourists from different corners of the state gather here during the Janmashtami and Diwali festivals celebrated in the month of August and October respectively. During these festivals the deity is taken for a procession that ends at Hariyali Kantha. 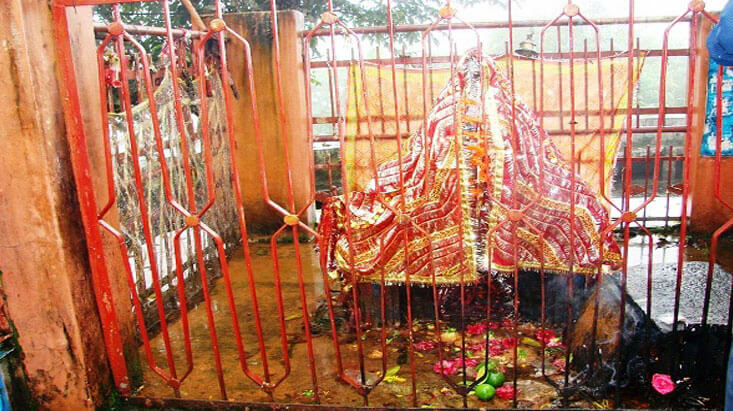 Other than deity Hariyali Mata, Kshatrapal and Heet Devi are also worshipped inside the temple. 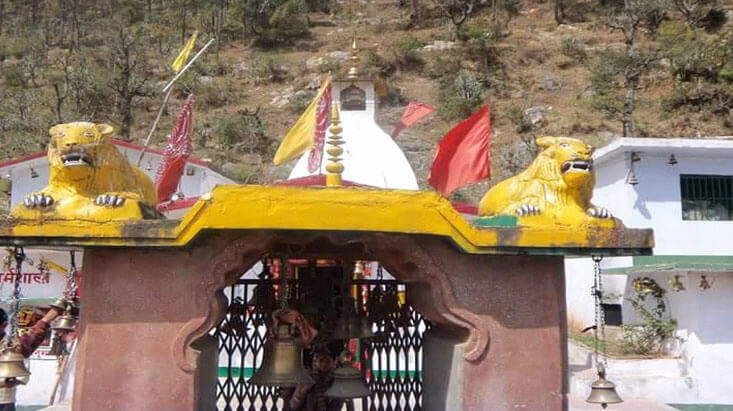 One of the most mysterious Devi temples connected with several beliefs, the shrine of Dhari Devi is located in a picturesque location. Adding to its religious significance is its location atop a 20 m high rock on the bank of the holy river Alaknanda. The main attraction of the temple is the idol of the deities that are kept under the open sky. People believe that the deities of this temple are not to be kept under a roof. As the temple is located on the Srinagar – Badrinath highway, devotees heading towards Badrinath do not miss the opportunity to pay a visit to this temple. The idol worshipped in Dhari Devi Temple houses only the upper part of the deity whereas the lower part is worshipped in Kalimath in Rudraprayag District. 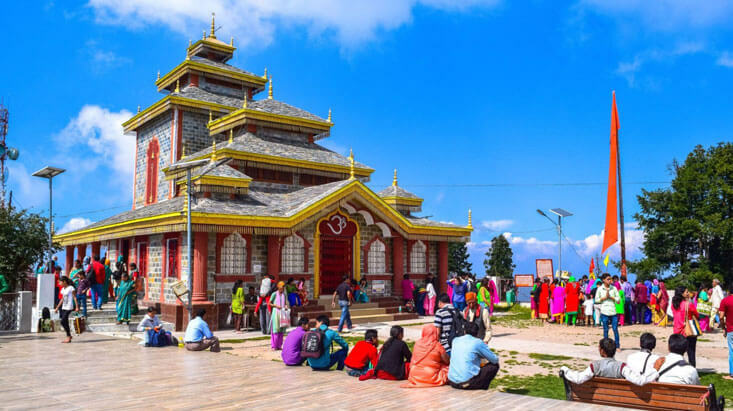 Located in a quiet environment at the foothills of Girechhina (district Bageshwar) Kalipad Temple is popular among the local people for its charismatic power. The temple vicinity is ideal for getting closer to the Supreme Being and mesmerises the devotees offering stunning views of Himalaya. 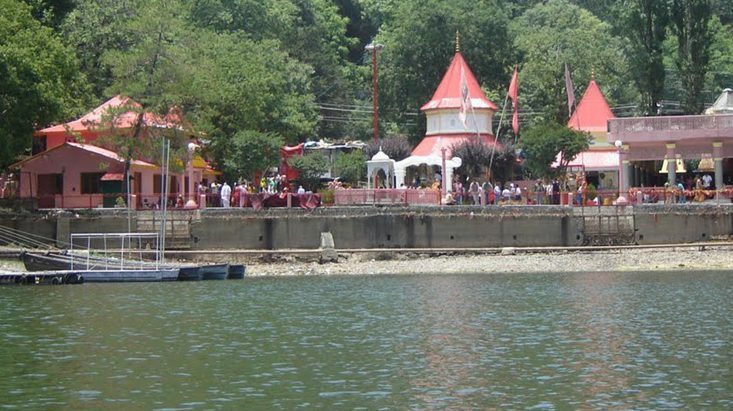 The confluence of River Sarayu and Gomati is located at a close distance from this temple and a glimpse of this natural splendor relaxes various mental strains. The temple vicinity encloses lands covered with deep vegetation and mesmerises all who seek a break from the clamour of day-to-day life. There are several other temples in Himalaya that are particularly dedicated to Durga, the divine mother and devotees visit those temples with full faith to get rid of sin and take blessings. As the dwellers in the mountain consider the deity as their daughter, they celebrate each occasion connected to the deity with grand fervour. Mostly Navaratras (Ashwin and Chaitra) are considered as the best time to worship this motherly incarnation of the divine being. During this time most of the Devi Temples are decorated with bright lights and local fairs are organised. Apart from paying homage to the deity one would love to mingle with the easy going and simple ‘Pahari’ people and can enjoy their vibrant culture.